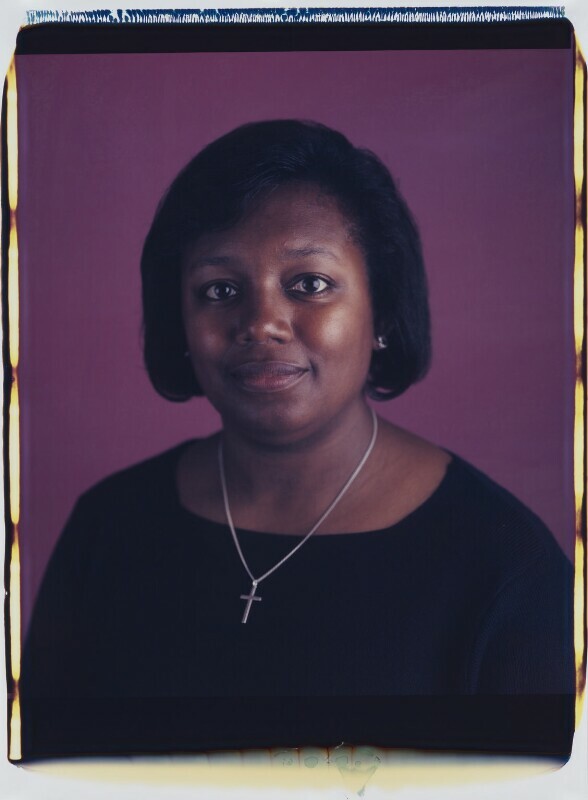 Malorie Blackman (1962-), Children's writer. Sitter in 2 portraits. Maud Sulter (1960-2008), Photographer, writer and poet. Artist of 8 portraits. Sulter was commissioned by the National Portrait Gallery in 2001 to photograph a series of leading children's writers for the Beatrix Potter to Harry Potter: Portraits of Children's Writers exhibition (2002). She used one of the very few 20 x 24 inch Polaroid cameras which was brought to London for the occasion from Prague. The sitters were photographed in the Gallery's Education Studio on 25 and 26 October 2001. Labour wins a second landslide general election victory campaigning on improvements to public services based on private finance projects. The Conservative party proved itself to be out-of-touch by ignoring public services and campaigning on the issue of Britain's membership of the EU. The day after the election William Hague resigned as leader of the Conservative Party. The Eden Project opens in Cornwall. The eco-centre, conceived by Tim Smit, replicates tropical and temporal climates and houses plants from all over the world in two domed biomes. The project is both a large-scale scientific experiment to study the environmental changes in different biomes over time, and a visitor attraction teaching the public about the natural environment. On 11th September (9/11) America comes under foreign attack for the first time since Pearl Harbour when Islamic Fundamentalist terrorists hijack four planes, flying two into the Twin Towers of the World Trade Centre, and one into the Pentagon; the forth plane crashed in a field. George Bush launches his 'War on Terror' by invading Afghanistan to overthrown the Taliban and capture Osama bin Laden, leader of al-Qaeda.